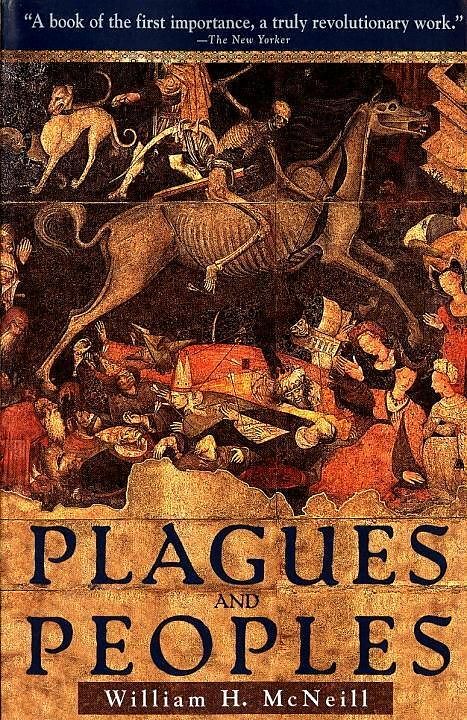 Upon its original publication, Plagues and Peoples was an immediate critical and popular success, offering a radically new interpretation of world history as seen through the extraordinary impact--political, demographic, ecological, and psychological--of disease on cultures. From the conquest of Mexico by smallpox as much as by the Spanish, to the bubonic plague in China, to the typhoid epidemic in Europe, the history of disease is the history of humankind. With the identification of AIDS in the early 1980s, another chapter has been added to this chronicle of events, which William McNeill explores in his new introduction to this updated editon.Thought-provoking, well-researched, and compulsively readable, Plagues and Peoples is that rare book that is as fascinating as it is scholarly, as intriguing as it is enlightening. A brilliantly conceptualized and challenging achievement (Kirkus Reviews), it is essential reading, offering a new perspective on human history.From the Trade Paperback edition. William H. McNeill is one of America's senior historians. He was professor of history at the University of Chicago for forty years before retiring in 1987. In the course of his career, he has published more than twenty books, inlcuding The Rise of the West: A History of Human Community, which won the National Book Award in 1964; Pursuit of Power: Technology, Armed Force and Society Since 1000 A.D.; and Plagues and Peoples. Dr. McNeill was president of the American Historical Association in 1985. In 1996, he was the first non-European recipient of the Erasmus Prize, an annual award for exceptional contributions to European culture, society, and social science. 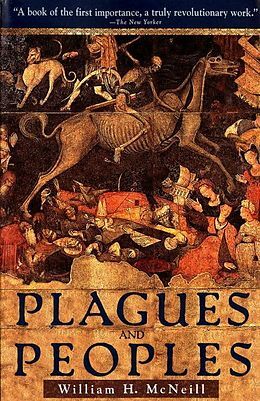 Upon its original publication, Plagues and Peoples was an immediate critical and popular success, offering a radically new interpretation of world history as seen through the extraordinary impact--political, demographic, ecological, and psychological--of disease on cultures. From the conquest of Mexico by smallpox as much as by the Spanish, to the bubonic plague in China, to the typhoid epidemic in Europe, the history of disease is the history of humankind. With the identification of AIDS in the early 1980s, another chapter has been added to this chronicle of events, which William McNeill explores in his new introduction to this updated editon. Thought-provoking, well-researched, and compulsively readable, Plagues and Peoples is that rare book that is as fascinating as it is scholarly, as intriguing as it is enlightening. "A brilliantly conceptualized and challenging achievement" (Kirkus Reviews), it is essential reading, offering a new perspective on human history.